A recent walk along the Strand in search of fidget spinners led me to start thinking about souvenirs. Sadly the Strand doesn’t feature in London-themed merchandise – it’s not as cool as the other big streets. A couple of years ago I asked a souvenir seller why he didn’t have items with the Strand? He just laughed and shrugged. Meanwhile, you can buy some weird souvenirs. 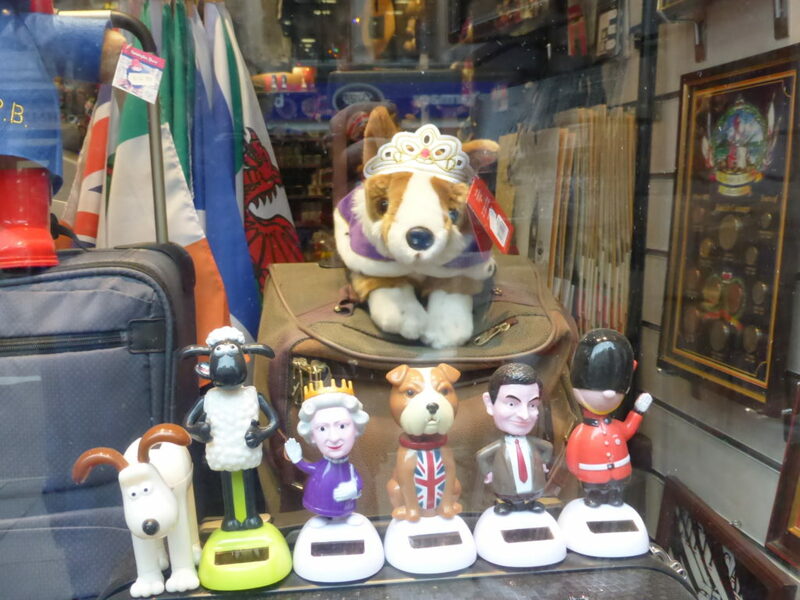 A corgi with a tiara? Yes! A nodding queen? Yes! The King’s College London shop in Bush House sells its own brand of bears: I thought they looked miserably in need of liberation. Has anyone seen any other curious curios?